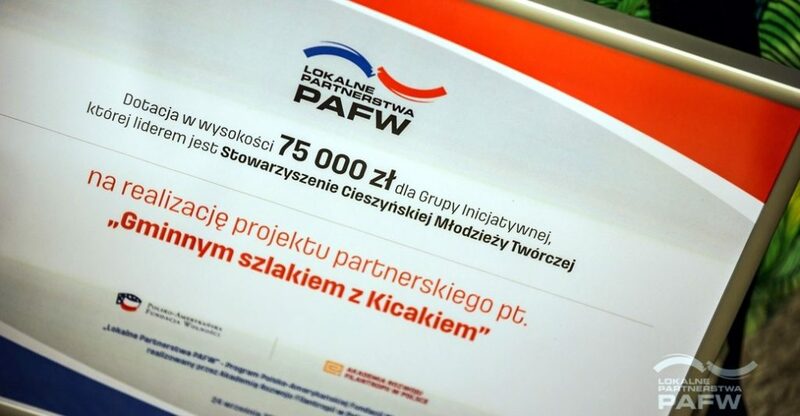 The total amount of grants for seven new PAFF Local Partnerships and three new start-up projects established in the 6th round of the program is almost PLN 600,000. Their representatives received symbolic checks during the Common Good Seminar in Warsaw on September 24. The event was also attended by the Common Good Lab Animators and participants of the former round. The guests were welcomed by Grzegorz Jędrys, Head of the Polish-American Freedom Foundation Representative Office in Poland, Joanna Lempart, PAFF Program Director and Paweł Łukasiak, President of the Academy for the Development of Philanthropy in Poland. Grzegorz Jędrys congratulated new partnerships on their participation in that prestigious program which PAFF Local Partnerships is combining the resources and experience of various initiatives and undertakings carried out by the Foundation, while Joanna Lempart emphasized the significance of a multi-stage recruitment process, including six-week-long intense tutoring, among other things. 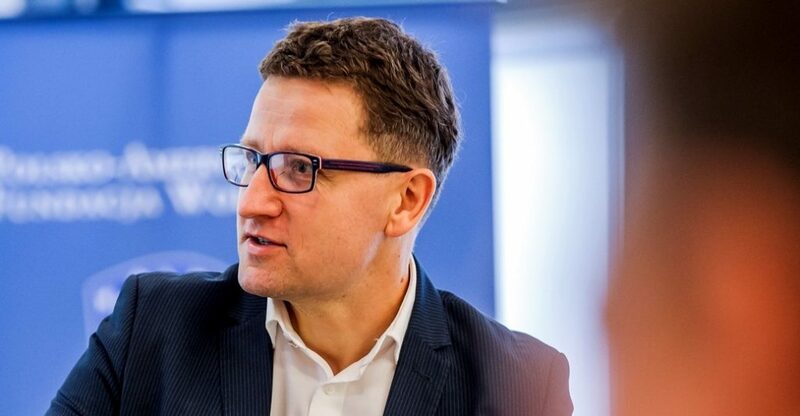 Paweł Łukasiak in his address told about importance of the local communities animation method based on the common good, which is applied in the program for building partnerships. Next the symbolic checks were handed over to the new partnerships, and then each of the awarded projects was presented. True or fake news…, the Initiative Group: Let’s Act Together Bukowiec Village Association (Equal Opportunities), Gabriela Góra (PAFF Leaders), Międzyrzec Culture Center (Library Development Program), Elementary School in Bukowiec (Learning School), the Voluntary Fire Brigade in Bukowiec (Equal Opportunities), Międzyrzec municipality, Lubuskie Province. Next, the issue of planning activities in the common social space were discussed. Krzysztof Herman, the landscape architect of Warsaw University of Life Sciences – SGGW, on the basis of examples of Polish and American towns and cities told about public space designing and programming so that if did all functions important for its users and facilitated community integration. During the last part of the meeting the participants were divided into two groups. The new Partnerships attended the meeting with Emilia Dmochowska, the “PAFF Local Partnerships” Program Coordinator and Tomasz Bruski, the Academy for the Development of Philanthropy in Poland Finance Director, who informed new partnerships and start-ups about the rules of cooperation. 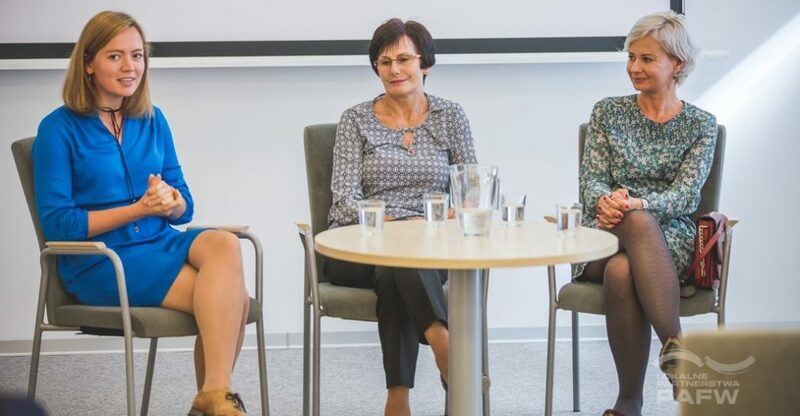 Then, Weronika Chrapońska-Chmielewska, the Academy for the Development of Philanthropy in Poland Specialist for Promotion and Communication presented the rules of Program promotion. At the same time, the second group, that is the Common Good Lab Animators and the participants of the 5th round of the “PAFF Local Partnerships” Program, took part in Dorota Kostowska’s workshop on public speaking. 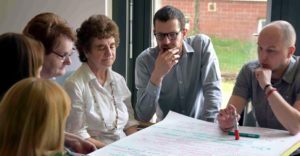 At the end of September the initiative groups will start their actions for common good, which undelay their partnerships. They will build Culture Square in Kudowa-Zdrój and the A-R-M Square in Krotoszyn, Hopper’s Trail in Hażle commune and Fablok Trail in Chrzanów, while residents of Rzeczniów will gain new common space “Beyond the Fences”, and the beach at Lubiewo commune, and the building of old school in Dywity will be revived. Furthermore, thanks to the start-up grants Olesno and Kluczbork municipalities will develop the Stobrava Valley, historical and nature trails will be built in Niepołomice Forest, and a Local TV will broadcast in Międzyrzecze. The objective of “PAFF Local Partnerships” is initiating and development of various PAFF programs participants’ cooperation aimed at establishing partnerships for implementation of programs important for local communities The program is managed by the Academy for the Development of Philanthropy in Poland. Under the current, 6th round, 7 partnerships and 3 start-ups for common goods were established in 12 municipalities and communes. Over six rounds of the program, a total of 45 partnerships were established in 97 communes, with participation of over 600 partners.